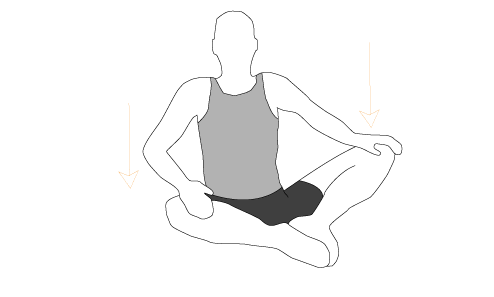 It is very easy to get an injury while stretching. Read the instructions and remember to stretch and not to over do. Starting position: Standing, place your feet slightly apart, bend your body forward, and touch your hands to your feet. Make a few steps forward holding your feet. Make approx. 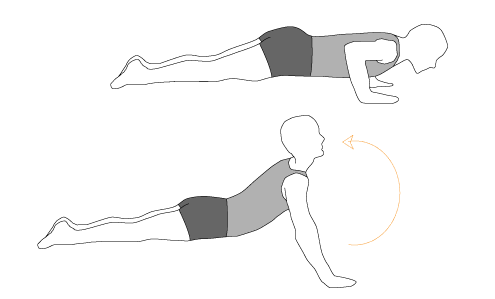 5-10 steps, and return to the starting position. Starting position: Sit in a straddle position, place your hands up. 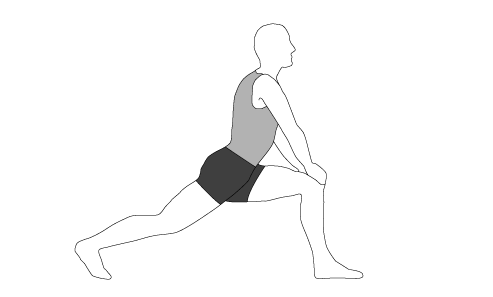 Bend yourself to the right leg, then to the middle and then to the left leg, and then return to the starting position. *This exercise also allows for stretching the biceps femoris muscle. Starting position: Standing, place your feet slightly apart. Straighten out your hand in front of you and parallel to the floor. Grab the elbow of the straightened hand with the other hand’s undercling. 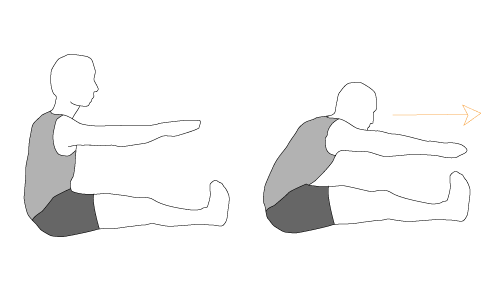 Pull the straightened hand toward yourself (it must remain parallel to the floor). Starting position: Lie down on your stomach, legs straight, bend your arms at the elbows and keep them within shoulder width and level. Straighten your hands and simultaneously bend your head and spine backwards. *This exercise allows for stretching the abdominal muscles. Starting position: Standing, place your feet slightly apart (next to the door frame or a stable piece of furniture), straighten one hand and block it within at 90 degrees angle. 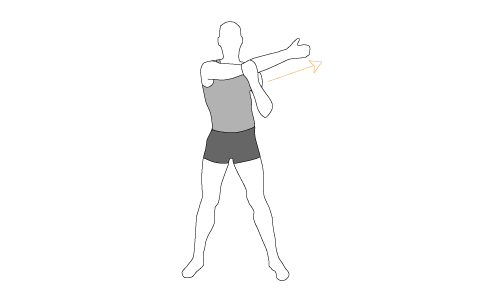 Perform slow body turns in the direction opposite to the support (hold for 3 seconds). Starting position: Sit with your legs straight out with feet together, toes facing up. 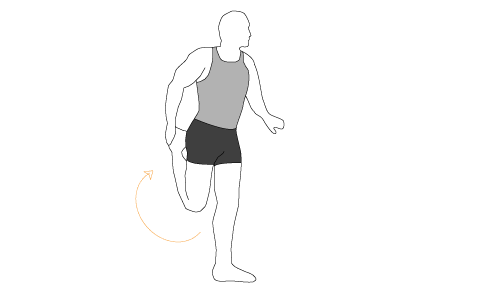 Bend your body forward, straighten your arms towards your feet (hold for 5-10 seconds), return to the starting position. 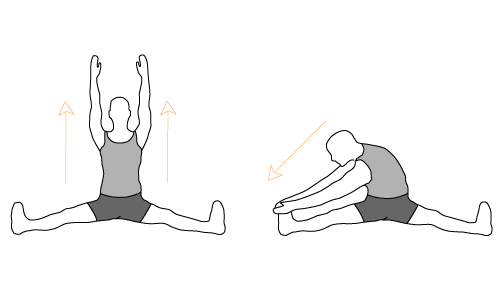 Starting position: Stand on one leg (best with support), other leg bent at the knee. 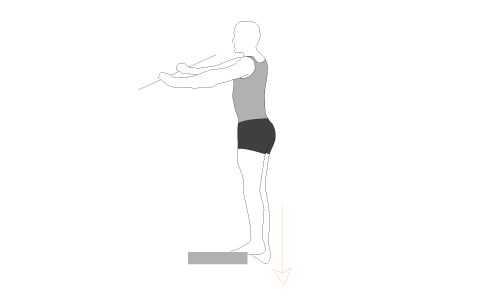 Change legs (left leg – left hand, right leg – right hand). *If, during the exercise, you grab the tip of your foot instead of the ankle, the exercise will allow you to stretch the tibial muscle as well. Starting position: Stand in a stride position, one knee bent facing forward, body straight, slightly bent forward. Squat to one knee, then to the other knee. 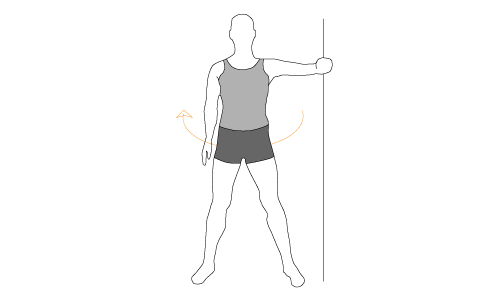 Starting position: Stand in a wide stride standing position, bent forward slightly. 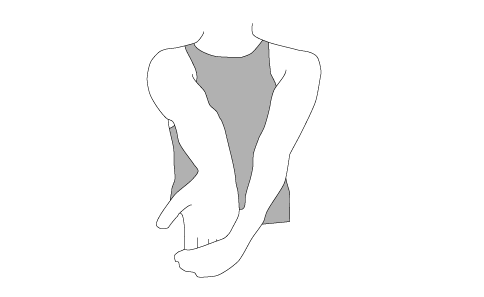 Squat to the sides on one knee, then on the other knee. Starting position: Position your legs “butterfly style” (feet are touching, legs bent at knees), your hands on the inner side of your thighs. Press your knees against the floor with your hands and hold on for 5-10 seconds. You will need a stair or a step for this exercise. Starting position: Hold on to a steady support or handrail. 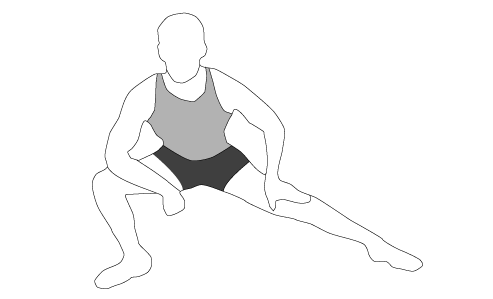 Deepen the bend of each calf using the heel. Hold out the straightened hand with the palm upwards. Grab the fingers of the straightened hand and pull them down, pushing the hand forward at the same time.